We get asked so often whether the farm is open to visitors and sadly the answer is usually no. Because we are such a small team (as in, just 2 of us most days), there is just isn’t time in the average day to properly entertain visitors. That is why I get so excited about our workshops because these are times when we love having visitors at the farm! We will be hosting 6 workshops throughout the summer and early fall on the farm. Half of the dates take place during the early evening and half are in the morning so that we can take advantage of the most comfortable weather (summer late afternoons are hot!). In case of inclement weather, we will move indoors into our beautiful floral studio. Each workshop follows a similar schedule: We'll begin our time together with an in-depth tour of the flower fields. As you stroll amongst the beauty, you'll learn about our growing techniques and hopefully become inspired to grow your own patch of blooms. After the tour of the fields, I will demonstrate how to arrange a centerpiece while talking you through my basic design philosophy and principles. Then, its your turn to create your own! 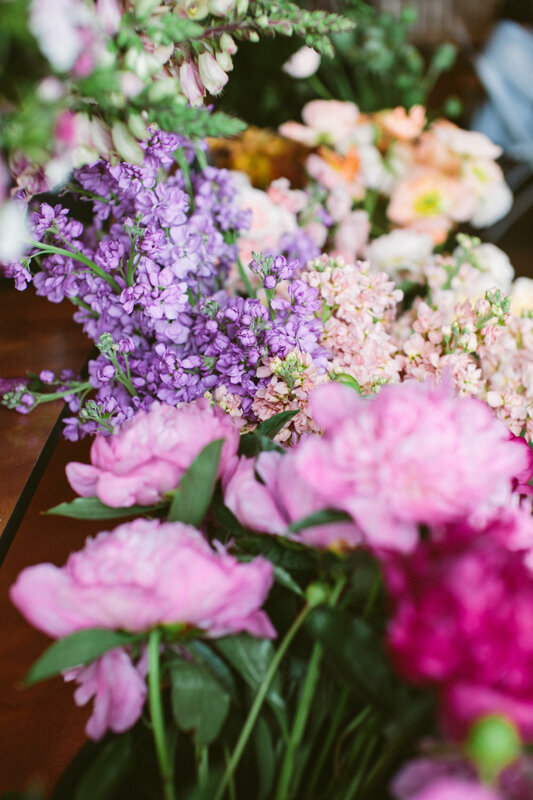 You will receive one-on-one support and guidance throughout the entire process and have a huge assortment of flowers to choose from! We intentionally limit attendance to just 15 participants so that the entire experience is personal and intimate. We’ll snack on delicious hors d’oeuvres from Verbena Catering + tasty desserts from Butter & Blooms made with seasonal, locally grown ingredients. Our beautiful, organic farm-grown flowers (so many flowers!) plus all tools, supplies and a keepsake vase are provided. About half of the participants come with a friend and half come solo, so either way you will be sure to make new flower friends. Many of the dates are close to filling and we do not maintain a waitlist. We can’t wait for you to join us! I hope to meet you either on the farm at one of our workshops or at one of the events where I’ll be guest teaching! 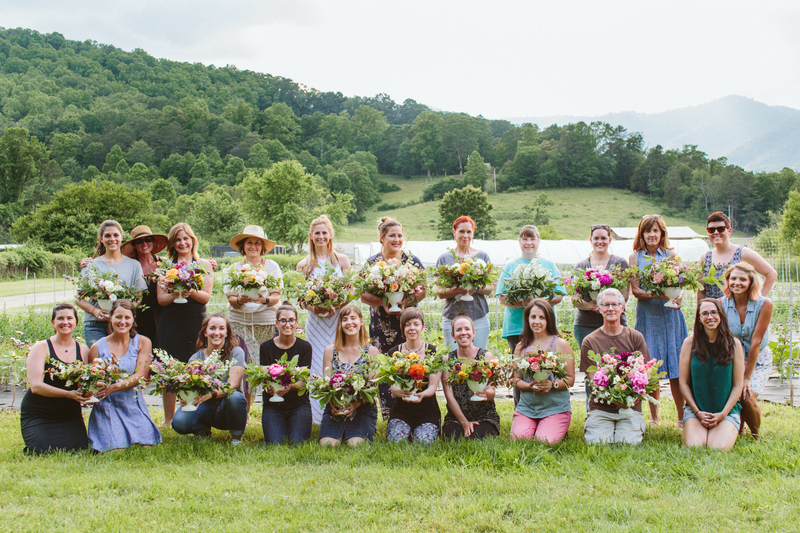 Investing in yourself and your education, whether its to further your floral design aspirations or to help grow your farm business, is something that I value very highly. I often learn just as much at a workshop or conference by chatting with other attendees at lunch as I learn during a session. I can’t wait to connect with you this coming year!